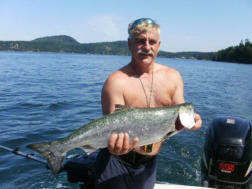 We are the "Fishing Experts" on the "Sunshine Coast". Established in 1991 we are located in Gibson's Landing Harbour - "Gateway to the Sunshine Coast", and surrounded by snow capped mountains and the Strait of Georgia. Your enjoyment and fishing adventure is here with us. 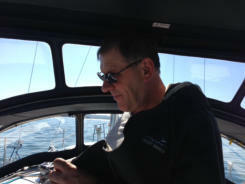 Captain Greg Suidy, - Owner / Manager has a wealth of experience being on the water. 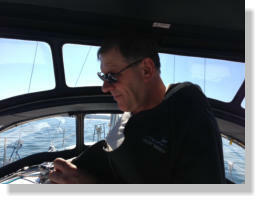 Greg's passion for the water includes many years mastering his sailing and fishing skill throughout the Pacific Northwest. Greg is CYA (Canadian Yachting Association) member, an Instructor with certification in Coastal Navigation, VHF Radio, Advanced Piloting and Celestial Navigation. He is an active member in several yacht clubs and Power Squadrons. Greg is also Certified Transport Canada SVOP, Small Vessel Operator Proficiency, Marine Emergency (ME A3) and Marine VHF Radio (ROC-M). 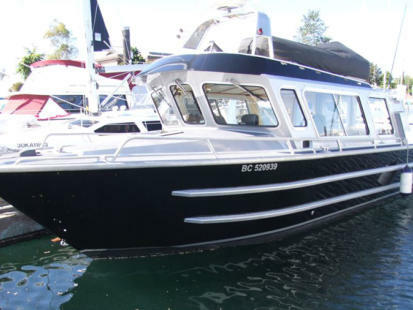 Our Fishing Charters offer some of the best fishing in Howe Sound. Salmon fishing is excellent with different salmon species frequenting the are year round. Fishing is a year round sport and the best time to fish is any time. Our boat is fully equipped with quality gear, down riggers,tackle and bait. 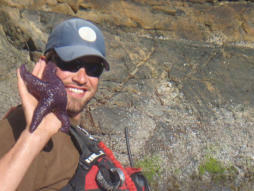 Our Gibsons & Keats Island Harbour Tours gets you on the water to enjoy the shoreline marine life. Whether you are Kayaking, on a Sailing Tour, Fishing Charter or Harbour Tour, you will discover the pleasures of the pristine waters and nature of the Howe Sound Islands with breathtaking coastal mountain views, abundant wildlife with eagles soaring high, varieties of water-fowl and otters and dolphins follow your every move. Trevor Chapman’s education and personal experience has given him the passion for all disciplines of recreation being born and raised on the Sunshine Coast. 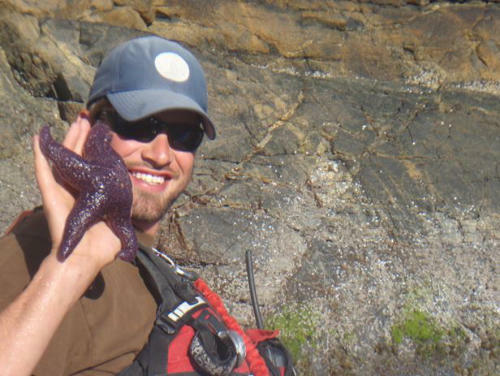 He graduated from the College of the Rockies with Mountain Activity Skills Program, the Adventure Tourism diploma at North Island College, Bachelor of Tourism Management at Vancouver Island University and is enrolled in the Masters of Tourism Management at Royal Roads University, as well possesses many industry certifications including OFA 3 first aid, Level 3 Sea Kayak & Guide Trainer through SKGABC. Trevor has worked as a kayak guide since 2002 and has guided throughout BC’s South Coast. Our Fishing Charters offer some of the best fishing in Howe Sound. Salmon fishing is excellent with different salmon species frequenting the area year round. Fishing is a year round sport and the best time to fish is any time. 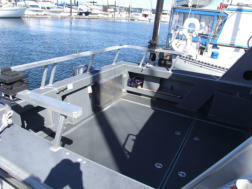 Our boat is fully equipped with quality gear, down riggers,tackle and bait. Our Gibsons & Keats Island Harbour Tours gets you on the water to enjoy the shoreline marine life. Whether you are Kayaking, on a Sailing Tour, Fishing Charter or Harbour Tour, you will discover the pleasures of the pristine waters and nature of the Howe Sound Islands with breathtaking coastal mountain views, abundant wildlife with eagles soaring high, varieties of water-fowl and otters and dolphins follow your every move. 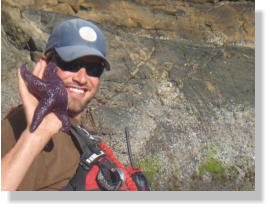 BC Fishing Charters - Division of Sunshine Kayaking. Website developed by SCD Copyright © 2017 all rights reserved.